Salvation And Survival: Which Battle Are You Prepared To Fight? Which Battle Are You Prepared To Fight? ME: With all these crazy headlines -- meteors slamming into the earth; financial collapse coming; EMP possibilities; threats from Russia; domestic race wars; the encroaching police state, etc., etc. -- is there anything specific we need to turn our attention to? PLW: At this point, nothing much more is going to matter. ME: We will just go with what we have, put on our armor, and rely on God, right? PLW: That's our best plan. There was a time; 2008 to be exact, when we would have spent anxious hours planning every detail of our "prepper" plan. We wanted to escape the "expendable" and "throw-away" mindset of our American generation, and return to the sustainable lifestyle of our grandparents. We wanted to embrace the lost traditions and skills that allowed past generations to perpetuate and preserve things of value. We didn't want to take anything for granted -- and that included our ability to provide food, shelter, and protection in any storm that threatened our lives. But it is now 7 years later, and I feel comfortable in my ability to think critically and solve problems. I know how to garden, can my own food, start a wood fire, defend myself, and most importantly, do without. I know I can withstand hardships and I am prepared to live a simpler, less complicated life. In regard to the above conversation with my husband, this is what "we have to go with", and it's going to be enough. And that's because I've also discovered in these last few years that it won't be the "things" I have or can do, but my faith that will be my most important asset. And that's a subject that has been a new revelation to me, as well. You see, I want to make it clear that we are not among those Christians who said, "I don't need to do any planning or learn any new skills. I'm just going to rely on God, because He says He will take care of us." No, we used the brains He gave us, listened to the Holy Spirit, and completed the instructions we were given. But we also heard the message that saving this life is not our ultimate goal; that we are to do all we can to help people, tell them about Jesus, and stand tall during our coming trials. That doesn't mean that we are to put all our efforts into the fight to keep this life, but we are to live what remains of it to the glory of God. And to that point, I am sensing a growing split among the Christian community. There are those who are staunchly in the Prepper camp; who are relying on God and their physical efforts to deliver them from this world's troubles. While believing that God is Sovereign, they are buying as much gold and silver as they can, stocking up on food and ammo, while they plan their exit strategy to a "safe place" out of the country... because God told them that's how they were to prepare. Then there are those who are discerning that the real battle that must be won is spiritual. It's not that they aren't physically prepared, but they see the bigger picture; and what we need to be preparing to fight are the spiritual enemies of God's chosen. These Christians are preparing to win the coming battles by putting on the armor of God, rather than relying on all their tactical gear and maneuvering abilities. In fact, those in the Christian Prepper camp don't want to hear about the Christian Spiritual Warfare camp ... it's too scary and bad for business, so to speak. Christians, generally speaking, don't have a clue that there is even a spiritual battle to be fought. Satan has fooled them into keeping their eyes downcast and focused on their fellow man and his tactics. That leaves us all -- Believers and Unbelievers, alike -- completely vulnerable to the real Enemy's attacks. As you've heard it said so often, Satan's time is short and he is ready to take as many of us out of the fight as he can, NOW! And that means attacking us in ways we don't see coming ... through the loss of spouses, parents, children, pets, jobs, health ... and in ways we aren't prepared to defend ourselves. So, while I have not abandoned my new skill sets, and still look for bargains on life's necessities at the grocery store, both PLW and I have studied the ways to fight back in the spiritual war that is clearly being waged. Our armor is not anything that can be seen with the naked eye; our physical enemies will not find us intimidating. But we plan on being on the front lines of the spiritual battle, and it is that victory we confidently seek. You see, we know there is a war coming, and there will be many horrendous battles to fight. 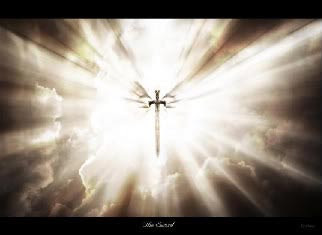 But the war in which we are being prepared to fight is in the spiritual realms, and our power will come from the throne room of God, and in the name of His Son, Yeshua. So, I agree with PLW ... we'll go with what we've got. It's a plan I can live with ... eternally. 2 Corinthians 10:4 "For the weapons of our warfare are not of the flesh but have divine power to destroy strongholds." It is true that the spiritual war is the primary war, but the spiritual war ALWAYS involves the physical realm as well. Look at any biblical story of suffering Christians and see that they incurred physical challenges associated with their spiritual battles. A prudent Christian is preparing for both as God leads them, as long as they are actually inquiring of what God wants them to do. Most Christians are blind to the current state of affairs and are only interested in their worldly situation. They are being fed Kool Aid from the pulpits and believe they will never suffer ANY tribulation. This is simply not biblical. Our pulpits are soft and so are our fellow brothers and sisters, who are totally unprepared, both spiritually and physically, what is fast approaching them. That is why Paul wrote what he did in 1 Timothy 4:1. If we would understand the Jewish roots of biblical passages, we would be made aware that God has afforded us a lot more insight into the future than what we are getting from our pastors, teachers and peers. These are the days of plenty, but the days of famine and persecution are approaching....are you really prepared to face it? I agree! That's why I think it was a natural progression that my husband and myself heard from the Holy Spirit to physically prepare first, and then were counseled to prepare spiritually. With the combined knowledge of both, we can stand during what is coming upon the earth. As long as we are physically present in this world, it is essential for us to be proficient in both. Your last sentence says it all!